Maintaining the proper chemical balance in your pool water is essential in order to enjoy a clean and safe swimming environment. 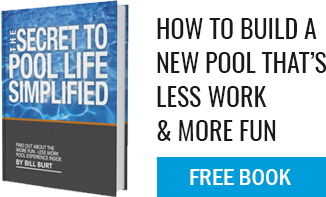 One of the major tasks for any pool owner is to routinely check chlorine and pH levels but what exactly is pH and why is it a critical component to a well-kept pool? Let our professionals at Aqua Pool and Patio explain the basics behind pH. –Acid is defined as a solution that has an excess of H+ ions that can break into hydrogen ions when put into an aqueous solution. This means that an acidic substance has a pH level value of less than seven. –Alkali is the opposite of acid. As an aqueous solution, an alkali can be neutralized by adding acid to lower its pH level from more than seven, where its natural value lies. Together acids and alkalis can balance one another to achieve clean water. When working together in your pool, this combination requires constant adjusting in order to maintain the proper equilibrium. The recommended pH level is between a 7.2 and 7.8. Remember on the pH scale, a zero indicates extreme acidity and a 14 indicates extreme alkalinity. A neutral state is achieved at an even 7 so you want to have a slightly alkali pool. The reason that you constantly have to check and balance your pool water is due to several reasons: dirt and debris from rain water runoff, dust and pollens, chemical additions such as chlorine, heavy use by swimmers who introduce oils and other organic matter, and anything else that finds its way into your pool can introduce new elements that shift your pool’s chemical makeup. To adjust your pH level, you can add sodium carbonate or sodium bicarbonate to the raise the pH and to lower it, you can add either muriatic acid or sodium bisulfate. Remember it’s easier to stay on top of pool problems by instituting a thorough maintenance routine than waiting until an issue gets out of hand. If you need help from the professionals, at Aqua Pool and Patio, we are always ready to assist you with all of your pool needs.